The ZEN partnership in 2014 includes over 50 field sites distributed across 11 countries in the Northern Hemisphere. The ZEN partner teams are listed below from west to east and include professors, postdoctoral researchers, students, and staff scientists. Click on the cited references for published background information on the local research by the different teams. KOREA. The ZEN team in Korea is led by Dr. Kun-Seop Lee, professor of Pusan National University, and includes Dr. Young Kyun Kim and graduate students Hwi-june Song, Seung Hyeon Kim, Jong-Hyeob Kim, and Jae Woo Kim. 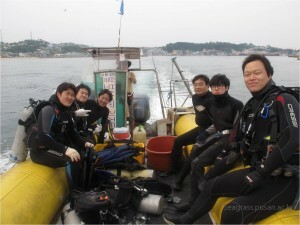 Lee’s group has studied the physiology, ecology, and restoration of Korean seagrasses since 2001. The ZEN experiments and surveys in 2014 will be conducted in Koje Bay and Dongdae Bay on the southern coast of Korea. Dangdae Bay has a large Zostera marina bed, whereas in Koje Bay Z. japonica, Z. marina, Z. caespitosa,and Z. caulescens are distributed sequentially seaward from the intertidal zone to ~7–10 m water depth. SOUTHERN JAPAN. 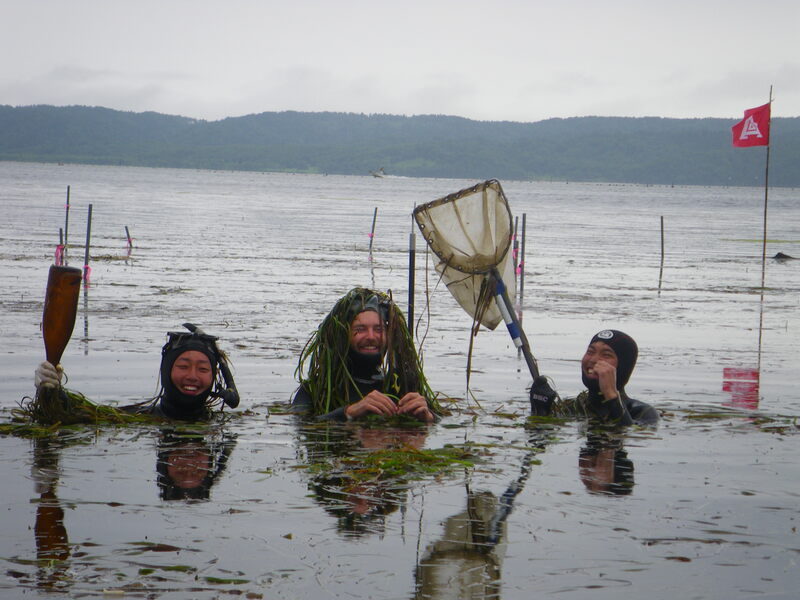 The ZEN project in southern Japan is run by the FEIS-Seagrass group, led by Dr. Masakazu Hori and his research assistant Dr. Hiromori Shimabukuro. The 2011-2012 experiments were conducted at the Ikunoshima Island in the Akiwan Bay, Seto Inland Sea, JAPAN. Akiwan Bay encompasses an extensive seagrass habitat, including more than 1200 hectares of Zostera beds. The long-term seagrass census has been also conducted in this area, supported by Ministry of the Environment, Japan. The FEIS group has studied seagrass/sargassum carbon fixation and sedimentation in the Seto Island Sea as a Blue Carbon project since 2009. The Blue Carbon Report is produced as an inter-agency collaboration between UNEP, FAO and IOC/UNESCO. NORTHERN JAPAN. The ZEN site in northern Japan is conducted at Akkeshi-ko estuary in Eastern Hokkaido by scientists at the Akkeshi Marine Station of Hokkaido University, led by Professor Massa Nakaoka. The team in 2011 included graduate student Mr. Kyosuke Momota and Honors thesis student Mr. Shotaro Momota, with assistance from Dr. Masakazu Hori from the southern Japan site and Mr. Matt Whalen from VIMS. The 2012 team included Ms. Nicole Kollars from the College of Charleston. The seagrass bed is a dominant habitat in the Akkeshi-ko estuary and is highly productive, serving as a nursery and feeding ground for many animals including whooper swans, and providing important ecosystem functions and services. Various aspects of the ecology of this seagrass bed have been studied, including primary productivity (Nakaoka 2005; Hasegawa et al. 2007), associated fauna, and prey-predator interactions (Yamada et al. 2007a, 2007b, 2010). ALASKA. Professor Katrin Iken of the University of Alaska at Fairbanks lead the ZEN research effort in Alaska in 2011. 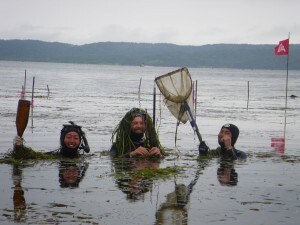 The 2011 experiment was conducted at an eelgrass bed near the Kasitsna Bay Laboratory in Kachemak Bay. BRITISH COLUMBIA. 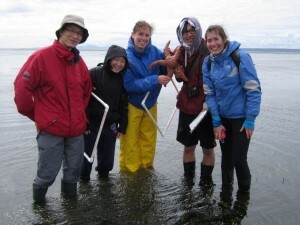 The ZEN site on the Pacific coast of Canada is led by Dr. Mary O’Connor of the University of British Columbia who studies the influence of the abiotic environment on the dynamics of ecological communities including eelgrass habitats. Dr. O’Connor has experience working with mesograzers in the Eastern Pacific and Western Atlantic and is interested in the role of climate change on ecological processes including herbivory. The Vancouver summer 2011 team included undergraduates Sarah Amundrud, Winnie Cheung, Andrew Huang, Kathryn Loewen, Carolyn Prentice, Patricia Sun, and Nick Uthaikhaifar, and volunteer Boaz Hung. WASHINGTON. The ZEN team at the University of Washington is headed by Dr. Jennifer Ruesink and works in Willapa Bay, in southwest Washington, USA, just north of the Columbia River. The bay has extensive tideflats occupying half of its surface area and high shellfish production from on-bottom culture of oysters and clams (Ruesink et al. 2006). Zostera marina occurs both within shellfish beds and in meadows that are essentially monocultures (Tallis et al. 2009, Ruesink et al. 2010, Dumbauld et al. 2011). Over the past 10 years, Ruesink’s group has worked at sites throughout the bay on eelgrass productivity and resilience to perturbations; the ZEN site is in the middle of the bay and weakly influenced by both watershed and ocean inputs. OREGON. Dr. Fiona Tomas Nash at Oregon State University leads the ZEN site in Oregon. CENTRAL CALIFORNIA (BODEGA BAY). 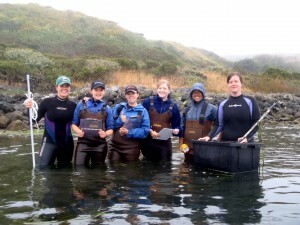 The UC Davis group, led by Professor Jay Stachowicz with support from graduate students Matt Whalen and Rebecca Best, conducted the 2011-2012 ZEN experiments in Bodega Bay, California, USA. 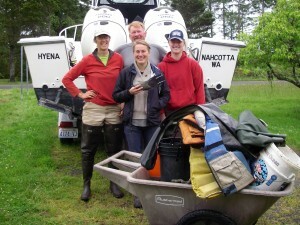 In 2014 this team will also survey eelgrass in the nearby Tomales Bay, California. Stachowicz’ group has studied the role of genetic diversity in the resilience and productivity of eelgrass beds in Bodega Bay for the past 10 years (Hughes and Stachowicz 2004, 2009, 2011) and has more recently conducted experiments on interactions among grazers, algae and seagrass at this site (Hughes et al. 2010). CENTRAL CALIFORNIA (SAN FRANCISCO BAY). The SFSU Romberg Tiburon Center ZEN group led by Dr. Katharyn Boyer and research specialist Stephanie Kiriakopolos joined ZEN in 2012. They will conduct the 2014 studies at three locations in the bay (Point San Pablo, Point Molate, and Crown Beach). The Boyer group has studied population, community, and trophic dynamics in Bay Z. marina systems for the past 9 years (Boyer and Wyllie-Echeverria 2010; Carr et al. 2011; Reynolds et al. 2012; Ort et al. 2012; Ort et al. 2014; Carr and Boyer, in press). 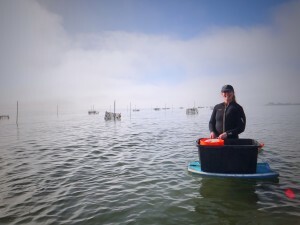 Dr. Boyer’s work on basic ecological questions is closely linked to policy, restoration, and conservation of Z. marina habitats in San Francisco Bay. SOUTHERN CALIFORNIA (SAN DIEGO BAY). Professor Kevin Hovel of San Diego State University leads the ZEN experiment at Shelter Island in San Diego Bay. 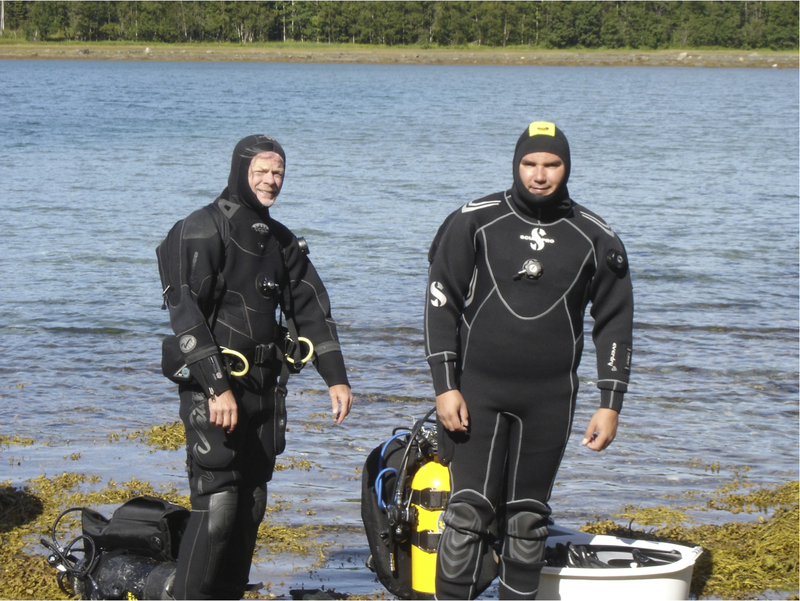 Dr. Hovel’s group has conducted experiments and studied the invertebrates and fishes of seagrass beds for several years in this region (Reed and Hovel 2006; Sirota and Hovel 2006). MEXICO. The ZEN team in Mexico is led by Drs. Clara Hereau and Pablo Jorgensen. Pablo’s interests focus on the study of biotic interactions and food web dynamics of benthic marine communities, such as unvegetated mudflats, seagrass meadows and coral reefs. He has been studying eelgrass meadows in Baja California since 2000, performing inclusion/exclusion experiments in the field to assess the interaction strength of consumers on prey populations and to quantify food web pathways. Clara has a strong background in marine invertebrate taxonomy and is interested in invertebrates diversity, their role as consumers, as well as their importance as preys of juvenile fish that use seagrasses for shelter and feeding. Clara and Pablo have been working together on the traits (i.e. mobility capabilities, predator vulnerability and diet preferences) of small invertebrate herbivores (mesograzers) as predictors of their ability to control nuisance algae that may outcompete the eelgrass since 2011. Their goal is to implement simulation models that can help to identify the key mechanisms promoting system resilience. They will survey eelgrass meadows in “Estero de Punta Banda” and “Bahía San Quinín” in 2014. These two coastal lagoons are located in western Baja California peninsula, at about 100 and 300 km south of the Mexico-USA border, respectively. Due to shortage of runoff in these two dry Mediterranean California ecoregion sites, nutrients dynamic within these systems are under the direct oceanic influence of the California Current System. Upwelling events occur throughout the year but are stronger in Baja during spring and summer. Seagrass meadows at these sites are nurserys for numerous native commercially exploited species, including sea basses, octopus, the wavy turban snail, ad scallops, as well as wintering areas for birds such as the black brant. NORTH CAROLINA. The ZEN team studying eelgrass in North Carolina is a collaboration among Dr. Erik Sotka at the College of Charleston and Dr. Joel Fodrie and his technician Abigail Poray at the University of North Carolina at Chapel Hill’s Institute of Marine Science. Field sites for 2014 include Middle Marsh, near Beaufort, North Carolina and the nearby Shackleford Island. The 2011-2012 experiments were conducted in Middle Marsh and were led by Dr. Sotka and Dr. Pamela Reynolds. Sotka has worked extensively with amphipod mesograzers, on ecological and evolutionary topics including plant-herbivore interactions. Dr. Fodrie’s lab focuses on marine population connectivity and the trophic structure of local fisheries. 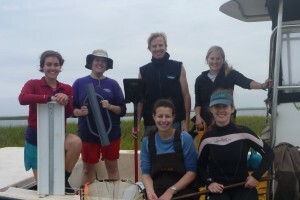 Graduate students Rachael Gittman (UNC) and Ceiwen Pease (University of New South Wales), and undergraduates Megan Gyoerkoe (UNC) and Akela Kuwahara (VIMS) assisted with the 2011 experiment in North Carolina. Middle Marsh is in the Rachel Carson Reserve and part of the NC National Estuarine Research Reserve system. Its seagrass, oyster, marsh and epifaunal communities have been studied for over 40 years. There is an extensive literature on mesograzers in this and nearby habitats (Nelson 1979; Duffy & Hay 2000; Sotka & Hay 2002; Cruz-Rivera & Hay 2003; Taylor et al. 2003; Reynolds & Sotka 2011). VIRGINIA. 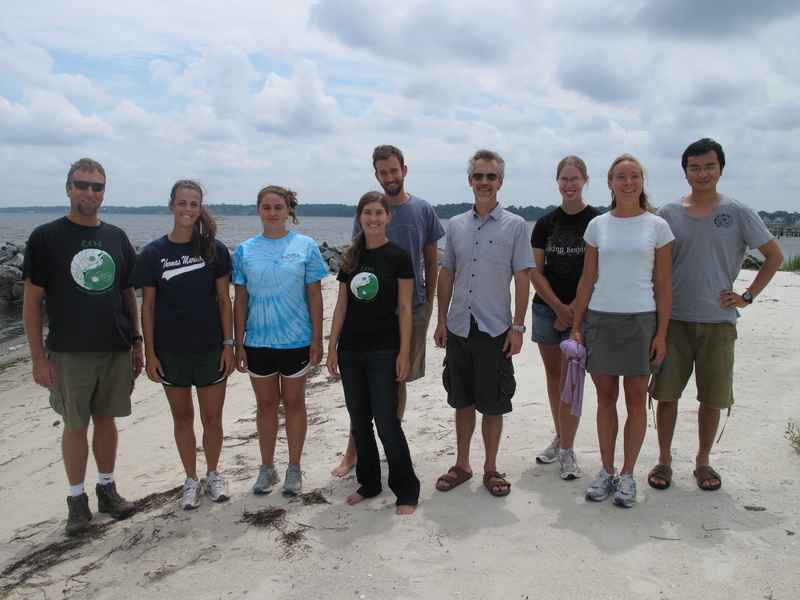 The VIMS group, led by PI Dr. Emmett Duffy and ZEN Coordinator Dr. Pamela Reynolds, conducted the 2011-2012 experiments at the Goodwin Islands in the York River estuary, Chesapeake Bay, USA. Duffy’s group has studied fauna and food-web interactions at this site for >10 years (Duffy et al. 2001; Parker et al. 2001; Spivak et al. 2009; Douglass et al. 2010). There is also an extensive history of prior research on seagrass distribution and ecology through the VIMS Submerged Aquatic Vegetation program led by Dr. Bob (JJ) Orth, and the Chesapeake Bay National Estuarine Research Reserve System conducts long-term monitoring of water quality parameters here. Undergraduate students Akela Kuwahara (VIMS REU) and Kara Gadeken (William & Mary) assisted with the 2011 experiments in Virginia. 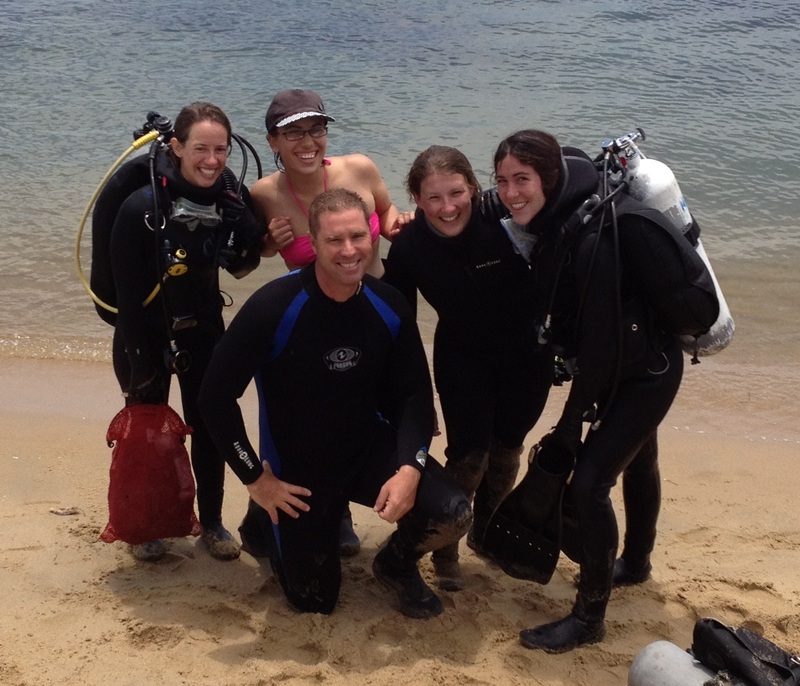 ZEN exchange graduate student Serena Donadi (University Groningen, The Netherlands) and undergraduates Katelyn Jenkins (William & Mary), Caitlin Fikes (VIMS REU), Nicole Rento (Brown), and John Schengber (James Madison University) assisted in 2012. Technician Shelby Ziegler with support from Paul Richardson is coordinating the research at this site with support from the ZENterns in 2014. COASTAL VIRGINIA. This group is run by Dr. JJ Orth at VIMS and Dr. Karen McGlathery at the University of Virginia, with support from VIMS technician Paul Richardson. 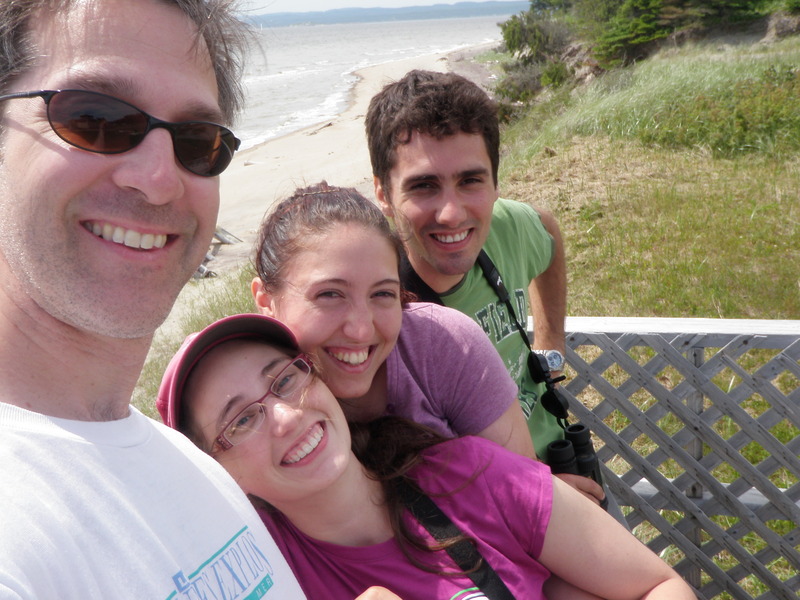 In 2014 they will conduct ZEN experiments and surveys in eelgrass beds in coastal Virginia. Dr. Orth is director of the SAV program at VIMS. MASSACHUSETTS. Dr. Randall Hughes is leading the ZEN team based at Northeastern University’s Marine Science Center (MSC) in Nahant, Massachusetts. 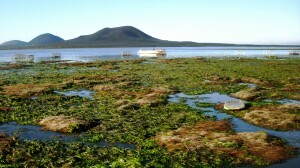 Hughes’ research focuses on genetic and species diversity in seagrass and salt marsh communities, looking at the effects of biodiversity on community and ecosystem processes, including productivity, species interactions, and resistance to disturbance (Hughes and Stachowicz 2004, 2009, 2011; Hughes 2012, 2014). The 2014 ZEN team also includes Dr. Torrance Hanley, a postdoctoral associate in the Hughes and Kimbro labs, and Brianna Shaughnessy, a masters student in Northeastern’s Three Seas Program. 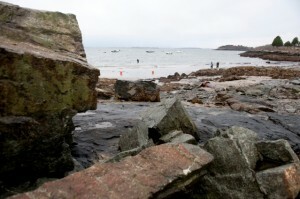 This year’s sites include Dorothy Cove in Nahant and Niles Beach in Gloucester, MA. The Massachusetts team was led by Dr. James Douglass and the director of the MSC, Dr. Geoffrey Trussell, in 2011-2012. The 2012 team also included ZEN exchange graduate student Max Overstrom-Coleman. LONG ISLAND SOUND. The ZEN team working in Long Island Sound is led by Dr. Bradley Peterson at Stony Brook University with support from graduate student Diana Chin. QUEBEC. Professor Matthieu Cusson of the Université du Québec à Chicoutimi leads the ZEN experiment at Batture aux Outardes, on the North Shore of the St. Lawrence Estuary, Canada. Previous research on eelgrass ecology has been conducted at this site at 49° N and 68° W (Grant and Provencher 2007). Students Stephanie Cimon and Winna Landry assisted with the 2011-2012 experiments. NORWAY. The RUG marine benthic ecology and evolution group and the UiN marine ecology group combined forces. The ZEN team was led by Professor Jeanine Olsen and Dr. Britas Klemens Eriksson. Professor Wytze Stam, Galice Hoarau, Dr. Jim Coyer, and four graduate student assistants completed the team. Together, they conducted the 2011 experiment at in Juvika Bay, Misvaerfjorden, Bodø at latitude 67° North above the Arctic Circle. This is the northern-most ZEN site in both the Pacific and Atlantic Oceans. Very little is known about high latitude seagrass community and ecosystem dynamics, particularly in northern Europe. Mapping studies are currently underway by the Norwegian Institute for Water Research (NIVA) and the Institute of Marine Research (IMR). No previous studies other than basic mapping have been conducted at the Juvika study site or other areas around Bodø. In fact, we are unaware of any manipulative, ecological studies that have been conducted in the high north. 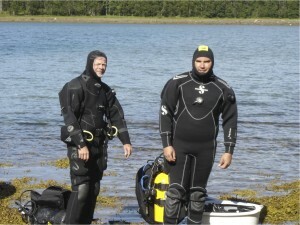 The Northern Norway ZEN group consists of both eelgrass population geneticists and community ecologists. The former are focused on reproductive ecology, dispersal, meta-population connectivity, and rapid adaptation under climate change. The latter is focused on foodweb ecology, species interactions and resilience. Please visit this website for pdfs. SWEDEN. The Swedish-Norwegian group, led by PI Per-Olav Moksnes (University of Gothenburg, Sweden; UG) in collaboration with Professor Stein Fredriksen (University of Oslo, Norway; UiO) and colleagues Dr. Johan Eklöf (UG), Dr. Lars Gamfeldt (UG) and graduate student Jonas Thormar (UiO), conducted the 2011-2012 experiments in a small bay in the Gullmar fjord on the NW coast of Sweden (58° N, 11° E). This Swedish-Norwegian group has studied eelgrass and associated flora, fauna and food-web interactions in the Skagerrak and Kattegat regions of the North Sea for >10 years (e.g. Fredriksen et al. 2005; Moksnes et al. 2008; Baden et al. 2010). There is also an extensive history of prior research on seagrass and fauna in the study area, mainly by Professor Susanne Baden and Prof. Leif Pihl (UG). Past research on the ecological interactions in eelgrass beds at this site indicate that mesograzers may play a large role in structuring these habitats. FINLAND. The Finnish ZEN team is led by Dr. Christoffer Boström of Åbo Akademi University. In 2011-2012 the group consisted of PhD students Camilla Gustafsson and Tiina Salo, MSc student Sonja Gunell, and field assistant Helena Puro. 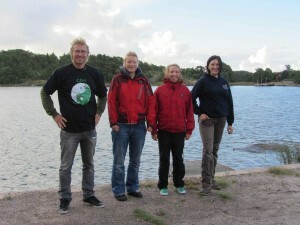 The main experiment in summer 2011 constituted the basis for Sonja Gunell’s MSc thesis and was conducted in an open sandy bight at Ängsö Island in the Archipelago Sea, Southwest Finland. This region is characterized by >30,000 islands and isolated eelgrass populations with a well described flora and fauna (Boström & Bonsdorff 1997, Boström et al. 2004, 2006, Gustafsson & Boström 2009, 2010, Salo et al. 2009, Baden et al. 2010). The 2012 team included Paul Richardson (VIMS). CROATIA. The ZEN sites in Croatia are led by Drs. Claudia Kruschel and Stewart Schultz at the University of Zadar. FRANCE. The French group is by led by Francesca Rossi in the ECOSYM laboratory at CNRS, Montpellier. This team is formed in collaboration with Sophie Arnaud-Haond (EME laboratory, IFREMER, Sete) and colleagues at the ECOSYM laboratory including Sebastien Villeger, Frederique Carcaillet, and Rutger de Wit, with research assistants Franck Ferraton and Emilie Le’Floch. This group has experience studying the ecology of benthic invertebrates (Rossi, Carcaillet), the physiology and ecology of fish (Villeger, Ferraton), the physiology of microalgae and plants (Le’Floch, De Wit) and seagrass genetics (Arnaud-Haond). The ZEN project represents a new opportunity to join these different expertise to understand the biodiversity and ecosystem functioning of Zostera marina in this region. The team will run experiments and field surveys in two coastal lagoons of the Languedoc-Roussillon region in the South of France – the Thau and the Bages-Sigean lagoons. 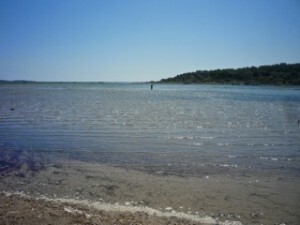 These lagoons are part of the complex of lagoons in the Gulf of Lion and are Natura 2000 sites. PORTUGAL. 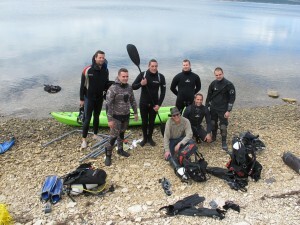 The CCMAR research group, with local ZEN coordinator Dr. Aschwin Engelen, conducted the 2011 experiment at Culatra Island in the Ria Formosa lagoon, Portugal. CCMAR has been studying seagrasses in this Lagoon system for two decades with a strong emphasis on molecular ecology and on ecophysiology by the teams led by Prof. Ester Serrão (e.g. Billingham et al 2003, 2007; Massa et al. 2009) and Prof. Rui Santos (e.g. Alberto et al. 2001; Silva & Santos 2003; Cabaço et al. 2009). The ZEN project represents a new direction for this research in incorporating ecosystem functioning of the Zostera marina system. IRELAND. Dr. Nessa O’Connor leads the ZEN sites in Ireland. WALES. Drs. John Griffin and Richard Unsworth at Swansea University lead the ZEN sites in Wales, UK.